At that time when Jesus worked in Judea, He did so openly, but now, I work and speak among you in secret. The unbelievers are completely unaware of it. My work among you is closed to those on the outside. These words, these chastisements and judgments, are known only to all of you and no others. All of this work is carried out in your midst and opened up only to you; none among the unbelievers knows of this, for the time has not yet come. These people here are near to being made complete after enduring chastisements, but those on the outside know nothing of this. This work is much too hidden! To them, God become flesh is hidden, but to those in this stream, one can say that He is open. Although in God all is open, all is revealed, and all is set free, this is only true for those who believe in Him; as far as the rest, the unbelievers, are concerned, nothing is made known. The work being carried out here now is strictly closed in order to keep them from knowing. Should they become aware of this work, then all they would do is condemn it and subject it to persecution. They would not believe in it. To work in the nation of the great red dragon, this most backward of places, is no easy task. If this work were to be put out into the open, it would be impossible to continue. This stage of work simply cannot be carried out in this place. If this work were to be carried out in the open, how could they allow it to go forward? Would this not put the work under even greater risk? If this work were not concealed, but rather carried out as in the time of Jesus, when He spectacularly healed the sick and cast out demons, then would it not have long ago been “taken prisoner” by the devils? Would they be able to tolerate the existence of God? If I were to now enter into the halls to preach and lecture man, then would I not have long ago been dashed to pieces? And if this had happened, how could My work have continued to be carried out? The reason that no signs and wonders are openly manifested at all is for the sake of concealment. So, to unbelievers, My work cannot be seen, known, or discovered. If this stage of work were to be done in the same manner as that of Jesus in the Age of Grace, it could not be so steady as it now is. So, to work secretly in this way is of benefit to you and to the work as a whole. When God’s work on earth comes to an end, that is, when this secret work concludes, then this stage of work will explode into the open. All will know that there are a group of overcomers in China; all will know that God become flesh is in China and that His work has come to an end. Only then will it dawn on man: Why is it that China has yet to show decline or collapse? It turns out that God is personally carrying out His work in China and has perfected a group of people into overcomers. God become flesh only manifests Himself to a portion of the people who follow Him during this period when He personally carries out His work, and not to all creatures. He became flesh only to complete one stage of His work, and not for the sake of showing man His image. However, His work must be carried out by Himself, thus it is necessary for Him to do so in the flesh. When this work concludes, He will depart from the human world; He cannot remain for the long term among mankind for fear of standing in the way of the work to come. What He manifests to the multitude is only His righteous disposition and all His deeds, and not the image of His body when He twice became flesh, for the image of God can only be shown through His disposition, and cannot be replaced by the image of His incarnate flesh. The image of His flesh is shown only to a limited number of people, only to those who follow Him as He works in the flesh. This is why the work being carried out now is done so in secret. In the same way, Jesus only showed Himself to the Jews when He did His work, and never publicly showed Himself to any other nation. Thus, once He had completed His work, He promptly departed from man and did not stay; afterward, it was not He, this image of man, who showed Himself to man, but the Holy Spirit who carried out the work directly. Once the work of God become flesh is completely finished, He departs from the mortal world, and never again does work similar to what He did when He was in flesh. After this, the work is all done directly by the Holy Spirit. During this period, man is hardly able to see the image of His fleshly body; He does not show Himself to man at all, but remains forever hidden. The time for the work of God become flesh is limited. It is carried out in a specific age, period, nation, and among specific people. This work represents only the work during the period of God’s incarnation, and is particular to the age; it represents the work of the Spirit of God in one particular age, and not the entirety of His work. Therefore, the image of God become flesh will not be shown to all peoples. What is shown to the multitude is the righteousness of God and His disposition in its entirety, rather than His image when He twice became flesh. It is neither the one single image that is shown to man, nor the two images combined. Therefore, it is imperative that God’s incarnate flesh should depart the earth upon completion of the work that He needs to do, for He comes only to do the work He ought to do, and not to show people His image. Even though the significance of the incarnation has already been fulfilled by God twice becoming flesh, still He will not openly manifest Himself to any nation that has never before seen Him. Jesus will never again show Himself to the Jews as the Sun of righteousness, nor will He ascend the Mount of Olives and appear to all peoples; all that the Jews have seen is the portrait of Jesus during His time in Judea. This is because the work of Jesus in His incarnation ended two thousand years ago; He will not return to Judea in the image of a Jew, much less show Himself in His image from His time in Judea to any of the Gentile nations, for the image of Jesus become flesh is merely the image of a Jew, and not the image of the Son of man that John saw. Even though Jesus promised His followers that He would come again, He will not simply show Himself in the image of a Jew to all those in Gentile nations. You ought to know that the work of God become flesh is to open up an age. This work is limited to a few years, and He cannot complete all the work of the Spirit of God. In the same way, the image of Jesus as a Jew can represent only the image of God as He worked in Judea, and He could only do the work of crucifixion. 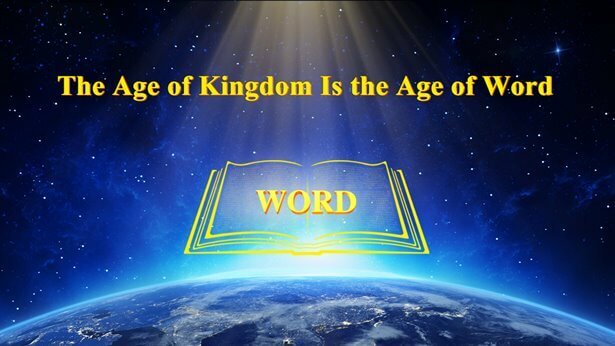 During the period when Jesus was in the flesh, He could not do the work of bringing the age to an end or destroying mankind. Therefore, after He had finished being crucified and concluded His work, He ascended on high and forever concealed Himself from man. From then on, those faithful believers from the Gentile nations were unable to see the manifestation of the Lord Jesus, but only the portrait of Him that they had pasted on the wall. This portrait is but one drawn by man, and not the image that God Himself showed to man. God will not openly show Himself to the multitude in the image from when He twice became flesh. The work He does among mankind is to allow them to understand His disposition. All this is shown to man by means of the work of the different ages; it is accomplished through the disposition He has made known and the work that He has done, rather than through the manifestation of Jesus. That is to say, the image of God is made known to man not through the incarnate image, but rather through the work carried out by the incarnate God who has both image and form; and through His work, His image is shown and His disposition is made known. This is the significance of the work He wishes to do in the flesh. 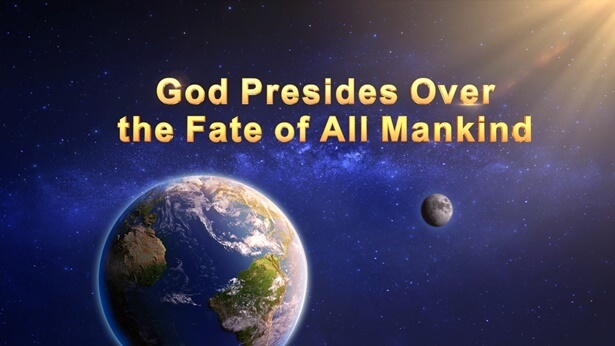 Once the work of God’s two incarnations comes to an end, He will begin to show His righteous disposition across the Gentile nations, allowing the multitude to see His image. He will manifest His disposition and by this means make clear the end of the different categories of man, thereby bringing the old age entirely to an end. The reason why His work in the flesh does not extend over a great expanse (just as Jesus worked only in Judea, and today I work only among you) is because His work in the flesh has boundaries and limits. He is merely carrying out a short period of work in the image of an ordinary and normal flesh; He is not using this incarnate flesh to do the work of eternity or the work of appearing to the peoples of the Gentile nations. The work in the flesh can only be limited in scope (such as working only in Judea or only among you), and then, by means of the work carried out within these boundaries, its scope can then be expanded. Of course, the work of expansion is to be carried out directly by His Spirit and will then no longer be the work of His incarnate flesh. For the work in the flesh has boundaries and does not extend to all corners of the universe—this, it cannot accomplish. Through the work in the flesh, His Spirit carries out the work that is to follow. Therefore, the work done in the flesh is of an inaugural nature that is carried out within certain boundaries; after this, it is His Spirit that carries on with this work, and does so moreover in an expanded scope. The work that God comes to do on this earth is only to guide the age, to open up a new age and bring the old one to an end. He has not come to live out the course of a man’s life on earth, to experience for Himself the joys and sorrows of life as a man, or to perfect a certain person by His hand or personally watch a certain person as he grows. This is not His work; His work is merely to open up the new age and bring an end to the old. That is, He will in person open up an age, in person bring the other to an end, and defeat Satan by carrying out His work in person. Each time He carries out His work in person, it is as if He is putting a foot onto the battleground. First, He vanquishes the world and prevails over Satan in the flesh; He takes possession of all glory and raises the curtain on the entirety of the work of the two thousand years, making it so that all men on earth have the right path to tread and a life of peace and joy to live. However, God cannot live with man on earth for long, for God is God, and unlike man after all. He cannot live the lifetime of a normal man, that is, He cannot reside on earth as a man that is nothing out of the ordinary, for He has only a minimal part of the normal humanity of an ordinary man to sustain His human life. In other words, how could God start a family, have a career, and raise children on earth? Would this not be a disgrace to Him? That He is endowed with normal humanity is only for the purpose of carrying out work in a normal manner, not to enable Him to have a family and career as an ordinary man would. His normal sense, normal mind, and the normal feeding and clothing of His flesh are sufficient to prove that He has a normal humanity; there is no need for Him to have a family or a career in order to prove that He is furnished with a normal humanity. This would be completely unnecessary! God’s coming to earth is the Word becoming flesh; He is simply allowing man to understand His word and to see His word, that is, allowing man to see the work carried out by the flesh. His intention is not for people to treat His flesh in a certain way, but only for man to be obedient to the end, that is, to obey all words that issue forth from His mouth, and to submit to all the work that He does. He is merely working in the flesh; He is not intentionally asking for man to exalt the greatness and holiness of His flesh, but showing man the wisdom of His work and all the authority He wields. Therefore, even though He has an outstanding humanity, He makes no announcements, and focuses only on the work that He should do. 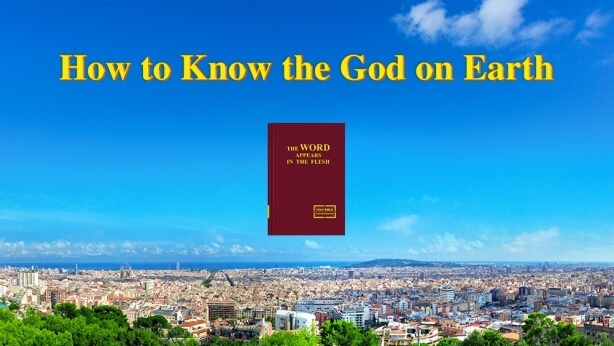 You should know why it is that God became flesh and yet does not publish forth or testify to His normal humanity, but instead simply carries out the work that He wishes to do. Therefore, all that you can see from the incarnate God is what He divinely is; this is because He never proclaims what He humanly is for man to emulate. Only when man leads men does he speak of what he humanly is, the better to gain their admiration and submission and thereby achieve leadership of others. In contrast, God conquers man through His work alone (that is, work unattainable to man); there is no question of His being admired by man, or making man adore Him. All He does is to instill in man a feeling of reverence for Him or a sense of His unfathomability. God has no need of impressing man; all He needs is for you to revere Him once you have witnessed His disposition. The work God does is His own; it cannot be done by man in His stead, nor can it be attained by man. Only God Himself can do His own work and usher in a new age to lead man into new lives. The work He does is to enable man to come into possession of a new life and enter into a new age. The rest of the work is handed over to those men with normal humanity and who are admired by others. Therefore, in the Age of Grace, He completed the work of two thousand years in just three and a half years out of His thirty-three years in the flesh. When God comes to earth to carry out His work, He always completes the work of two thousand years or of an entire age within the shortest span of a few years. He wastes no time, and He does not delay; He simply condenses the work of many years so that it is completed within just a few short years. This is because the work He does in person is wholly for the sake of opening up a new way out and ushering in a new age.